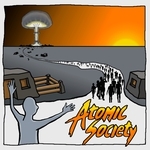 HELP Atomic Society has encountered an error and must close. in module Atomic Society.exe at 0033:4caafdb7. C:\Program Files (x86)\Steam\steamapps\common\Atomic Society\Atomic Society.exe, run by Owner. 8123 MB physical memory [2581 MB free]. 10043 MB paging file [2597 MB free]. 134217728 MB user address space [134213188 MB free]. Read from location 0000000e caused an access violation. 0x006fece0: 0056004e 00440049 00410049 00470020 N.V.I.D.I.A. .G. 0x006fecf0: 00460065 0072006f 00650063 00470020 e.F.o.r.c.e. .G. 0x006fee10: 0056004e 00440049 00410049 00470020 N.V.I.D.I.A. .G. 0x006fee20: 00460065 0072006f 00650063 00470020 e.F.o.r.c.e. .G. 0x006ff000: 0000001a 00000000 00000042 00470020 ........B... .G. 0x006ff010: 00460065 0072006f 00650063 00470020 e.F.o.r.c.e. .G. 0x006ff020: 0056004e 00440049 00410049 00470020 N.V.I.D.I.A. .G. 0x006ff030: 00460065 0072006f 00650063 00470020 e.F.o.r.c.e. .G. 0x006ff460: 0056004e 00440049 00410049 00470020 N.V.I.D.I.A. .G. 0x006ff470: 00460065 0072006f 00650063 00470020 e.F.o.r.c.e. .G. 0x006ff880: 00000000 00000000 6374652f 00646500 ......../etc.ed. Hi. Sorry you've had this issue. It's a bug we know about that affects a small number of players when they start the game. We haven't figured it out as it seems to be quite hardware dependent and is very hard to track down. Unfortunately your best best is to refund the game until we can get a fix sorted. Thanks for trying us out though at this early stage.